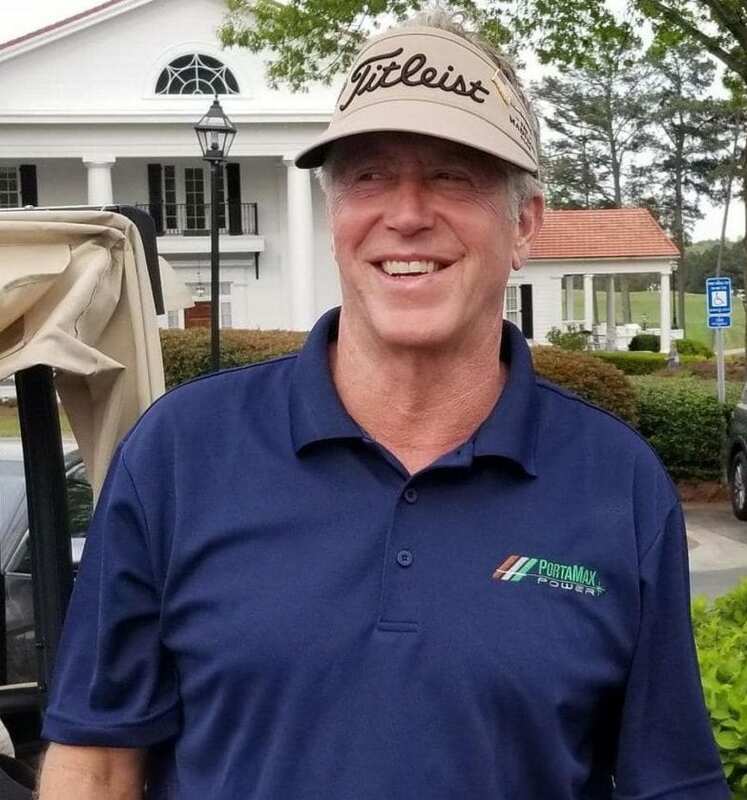 PortaMaxPower extends its sincere appreciation to PGA Tour Champions’ star Michael Allen and his long-time friend and caddy Joe “Joker” Kirkpatrick for supporting PortaMaxPower and our ongoing portable solar and sustainable energy initiatives. Thanks for your support, Joe! We also congratulate Michael and John Daly as they recently partnered to finish in the top five during the Bass Pro Shops Legends of Golf team event in Ridgedale, Mo., April 19-22. Always one of the most popular and accessible players on tour, Michael Allen boasts one major title (2009 Senior PGA Championship) among his eight victories during a nine-year Champions Tour career. Michael competed for 20-years on the regular PGA tour before joining the PGA Champions tour in 2009. He credits his career longevity to a firm commitment to fitness which he says has been instrumental in maintaining his own sustainable energy level. PortaMaxPower is proud to have Michael on our team. Michael Allen holes a long birdie putt (watch it here) during the second round of the PGA Tour Champions Bass Pro Shops Legends of Golf tournament in Ridgevale, Mo., as partner John Daly signals his approval. The PortaMaxPower Solar Sentinel is the only sustainable energy solution in portable solar generators. The Solar Sentinel 2400 – The only truly portable, sustainable solar powered generator. It’s safe – no hazardous fumes – and silent, so it can be operated safely inside, including condominiums and apartments. And it’s easy to operate – just the simple push of a button. It’s rugged too. 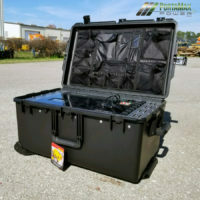 The Solar Sentinel’s electronics are assembled on an aircraft-grade aluminum chassis, permanently shock-mounted inside a watertight Pelican Storm case. The Solar Sentinel is the only portable solar generator available today that’s capable of fully recharging its battery, while in use, in less than a day, while our competitors can take days or even weeks to recharge their batteries. That’s not a sustainable portable solar generator – it’s just an overpriced battery backup system! 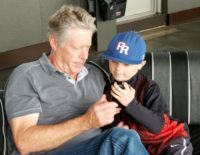 Michael Allen spends time with a young fan during a recent tour stop in Georgia. 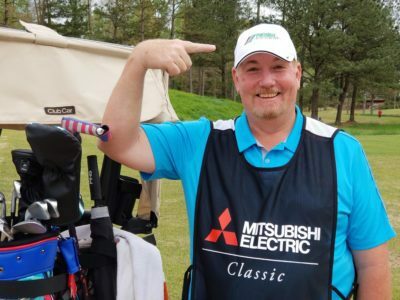 We wish our friend Michael Allen the best of luck during the Insperity Invitational at the Woodlands in Houston, Tx., May 4-6, and for his continued success going forward. Follow Michael and many other PGA legends on the PGA Champions Tour throughout the 2018 season. next post: Flying High in Carolina!